Winner of the Stick Figure Prize for Language & Literature and the Wonderland Book Award for best novel of 2007, Dr. Identity, or, Farewell to Plaquedemia takes place in the irreal, postcapitalist city of Bliptown, where time ticks sideways, artificial bug-eyed monsters punish citizens for consumer-capitalist lethargy, and ultraviolence is as essential as a daily multivitamin. The action begins when the psychotic surrogate-android of a disgruntled English professor accitentally murders a student, then a few facutly and staff members, then a movie star, all of which incites the anger and vengeance of the entire Amerikan nation. 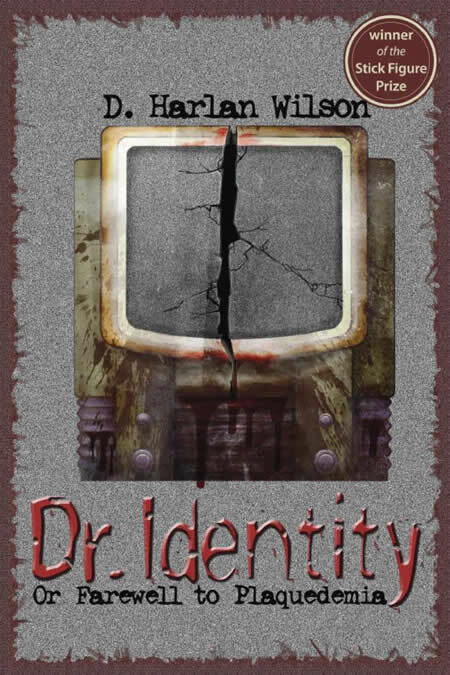 Wilson's debut novel marks the first installment of the Scikungfi trilogy.